When Do Credit Cards Actually Expire? There seems to be a lot of confusion about credit card expiration dates, mainly because credit card issuers only list the month and year on the card, as opposed to the day in most cases. So I decided to go straight to the source to get to the bottom of this once and for all. Here are the replies I received from various credit card issuers regarding the matter. American Express: I tweeted @AskAmex: If Amex card says valid thru 08.17, it can be used until the END of August 2017, correct? Bank of America: My BankAmericard Cash Rewards card says valid thru 12/15. When does it expire? You can use it until the last day of December. Capital One: Hi, my card says valid dates: 01/12-03/15. Does that mean it expires at the end of March, or the end of February? It will be valid till March 31st. Chase: My Chase Slate card says it valid thru xxxx. So when does it actually expire? You may use your card until the last day of the month in which it expires. A replacement card will be sent automatically to the mailing address on your account. You should receive it before the card expiration date. Citi: For Citi cards, I didn’t even need to ask. The card says right on the front that it’s valid from 03/13 with an expiration date of 01/31/16. Instead of simply putting the month and year, they spell it out for you so there’s absolutely no confusion. Discover: My Discover it card says it valid thru 09/18. So when does it actually expire? On September 31st, or August 31st? Or some other date? Your Card is valid and can be used through the last day of the month that it expires. Wells Fargo: Hi, I’m just seeking some clarification regarding my debit card’s expiration date. It says good thru 11/15. Does that mean I can use until the end of November 2015, or does it expire at the end of October 2015? Your card can be used through the last day of the month that appears on the front of your card. A new card will be sent to you about one month before your current card expires. Additionally, these companies will typically send you a new replacement card before this even becomes a problem. So whether it would actually be an issue in the real world is questionable, but it’s good to know how things work regardless. Why Do Credit Cards Expire Anyway? This brings up an obvious next question: Why do credit cards expire? Well, the reasons may vary among companies, but the most common is that the expiration date provides another security checkpoint. Similar to the CVV2 number you often must enter for certain transactions, a merchant may also ask for your card’s expiration date before processing payment. This makes it a little bit harder to commit fraud. Aside from that, there’s also basic wear and tear. 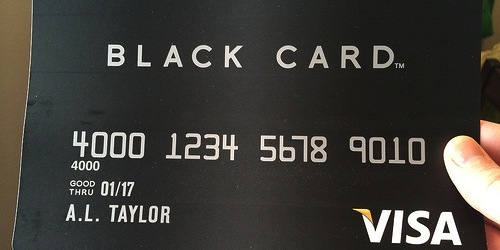 So credit card companies will issue you a new card every three years or so to ensure you’ve got a functioning card. A new card also serves as a reminder to start using your card again, assuming you cut it up or froze it in your freezer. Or simply forgot about it. Companies can also roll out new designs and features when new cards are delivered, and use your expiration date as a time to review your account. Leaving something completely open-ended could also put card issuers in an odd spot if someone holds onto a card from 30 years ago that isn’t safe or practical to use anymore. Read more: What do the numbers on my credit card mean? Next Next post: Why Do Credit Cards Have PINs?